This tutorial is a work in progress and is made available for public review & comment, and thus the content is subject to frequent edits over the next few weeks. Moates now offers a Bluetooth(BT) option for a number of their products. The only one that applies to most people on this forum is the Moates Quarterhorse (QH) and/or Superlogger (SL) I/O device. On the Moates website, it is refereed to as the Neptune/Demon Bluetooth Module Add-on. When ordering, you want the ROBP cable pinout option. Or simply note in the comments section of your order that this device is being purchased for use with a Quarterhorse. The guys there at Moates will know what you are doing and get you setup with what you need. Throughout this tutorial, I will refer to this device simply as the BT-Slave device. The BT-Slave device must be connected to the QH using the inner serial port connection. Many QHs didn't ship with a header on that serial port connection, but it can be easily added with a soldering iron. Although I believe if you order a QH today, you can request that this header be present, particularly if you order the BT-Slave at the same time. Once the QH is installed, route the BT-Slave's wire out the back of the EEC like the USB cable would, then re-secure the EEC cover back in place. Try to route and locate the BT-Slave device as close to where your laptop will be as possible. Bluetooth connectivity has an optimal range of over 30 feet in an electrical-noise free and obstruction-free environment. However if the Slave is surrounded by metal and/or has to overcome electrical noise (i.e. EMI from the ignition), then the distance will be reduced. For those that have the EEC located in the passenger-side kick panel, you have nothing to worry about. I have my BT-Slave draped across the back of the EEC and down the side closest to the passenger side door. Literally, the only thing between the BT-Slave and my laptop is the plastic kick panel. However if your EEC is mounted in the engine bay (passenger side firewall or driver's side quarter panel), the Bluetooth signal will have to battle much more obstruction. The hope is that the relatively short distance will still be able to overcome the obstructions. Time will tell whether there's issues related to BT connectivity in these far-less-than-optimal installations. I have both the USB and Slave wire coming out of my EEC. However if you bench-test your Bluetooth slave (discussed later), you could completely ditch the USB cable. Although personally, I'll be keeping my USB cable even if it's stored behind the passenger seat just in case something happens that I need to connect to the QH and wireless isn't working for whatever reason. You can access this window by hitting the Windows key to open the start menu and typing the word devices. Click the link to Devices and Printers that should appear. Keep this window open as it will be referenced later. At this point you are ready to pair the laptop to the Moates BT-Slave device. You can do this with the QH and BT-Slave installed in your vehicle OR you can bench-power it. When I was experimenting with this, I connected the BT-Slave to my QH, then connected the QH to a USB power supply. A cell phone or tablet USB power supply works great and most people have at least one of these. When the BT-Slave is powered, the first thing you notice is a bright blue LED begins blinking. From the devices window, click the Add a device button. The BT-Slave device should present as BT for Tunerview via Moates. Although on my computer, the name did not initially appear as that. I believe the window initially presented the name as other. It took a few moments for Windows to fetch the name from the BT-Slave device. If the BT-Slave does not present itself in this window, you may need to power-cycle it before it can be detected as a pairable device. Choose to Enter the device's pairing code and click the Next button. Enter the default password 1234 and click the Next button. If all goes well, then you should get a message indicating that pairing was successful. However if you take too long pairing the device, you may get a failure message indicating that the pairing procedure timed out. If this happens, just repeat the procedures, but don't take too long. I actually got this message as I was screencapping each of these screens and saving them to file for this tutorial, however the average person should have plenty of time. Two COM ports are actually typical, although you only use one. Most of the time, the smaller numerical COM port is the one you want to use. If you fail to communicate with your QH using that port, try the other. Notice that the top-level Quaterhorse checkbox is selected as well as the Bluetooth optional checkbox, which allows for the selection of a COM port. Once the COM port is selected, if all is working as it is supposed to, BE should recognize the presence of the QH, and illuminate the Green light indicating it has successfully detected the QH. At this point, communication with the QH should be identical to the user experience when connected to the QH via USB. 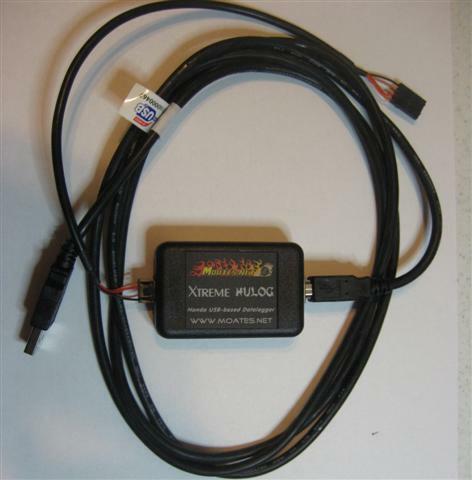 The HULOG uses the same FTDI USB-serial chip that the Moates QH does. But by default, Windows will install it with the standard FTDI driver which means the device will present itself in the Device Manager as as COM port. This is the preferred presentation for this device. The Moates BT-Slave device is based on the HC-05 Bluetooth-to-Serial-TTL device. If you want to know more about it, refer to the HC-05 data sheet. It's recommended that the BT-Slave be unpaired from the laptop prior to changing the BT-Slave's password. This ensures that Windows doesn't see the BT-Slave's Bluetooth MAC address and think it is already paired to that device and attempt to communicate with the BT-Slave with a wrong password and thus cause problems. To avoid that, just uninstall the BT-Slave as described above before proceeding. ProTip: You can use the sharp tips of a Volt meter's leads to punch through the shrink wrap. If your meter has a current measuring option (most do nowadays), you can set up the meter and leads for current measuring which creates a very near dead-short between the leads and should be sufficient for the purposes of putting the HC-05 into AT mode. With the connections shorted, power the BT-Slave by connecting it to the Moates HULOG USB-TTL device. The TTL-side configuration mode baud rate is 38.4k/8/N/1. With a serial terminal like PuTTY, Hypterterminal, minicom, or GTKTerm, you can connect to the HULOG's COM port and confirm connectivity with the BT-Slave by sending the command AT (including hitting <enter>). The BT-Slave should respond with OK if your connection to it is good. If you fail to connect at this point, you will need to diagnose why, which is beyond the scope of this tutorial. However Google-searching for information about the HC-05 should get you some info. Power off the BT-Slave for at least 30 seconds and the new password should be active on next power up. Repeat the procedure above for pairing the BT-Slave to your laptop with the only exception being you will use your NEW password instead of the default. You might also want to write the new 4-digit password on the BT-Slave's shrink wrap. 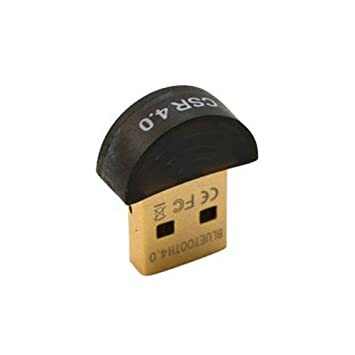 And just so I don't have to hear it from the security weenies out there, 99% of the time the BT-Slave is tucked into the car somewhere, difficult for the owner to get to, so writing the password on the BT-Slave IS NOT like writing your PIN number on your bank card. It's more akin to putting a spare key in your wallet. For guys comfortable with serial terminals, this is a rather trivial task with the right equipment in hand. However for people that don't really deal with terminals or serial connections, Clint has expressed a desire to write a program (possibly built into BE) that will abstract away a lot of the technical details of this procedure. Stay tuned for that to get documented here when it is available.